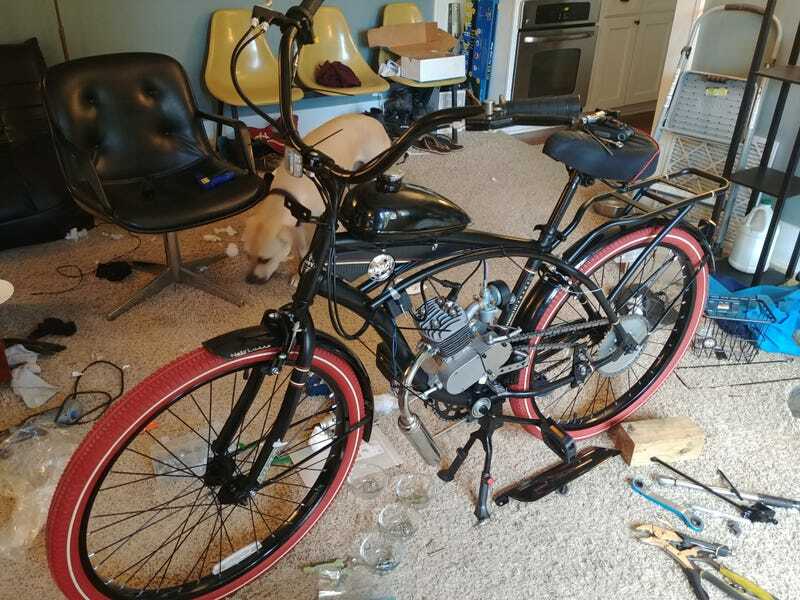 The Tooty Scooty (which is what we’re calling my 2-stroke bicycle project) started! It is running like crap and won’t idle, but it started. Also it looks goooooood. Full build thread to come, but I’m going to have some quality couch time with the pups for now.